My calf muscle hurts while running. What have I done? Calf muscle strain is caused by an injury to the calf muscles at the back of the lower leg where the calf muscle is excessively strained during sporting activity. The injury can range in severity from a minor strain to a complete or partial tear in the muscle. Overtraining, or too much too soon, can overload the calf over time causing it to become weakened and less able to tolerate the high loads associated with running. 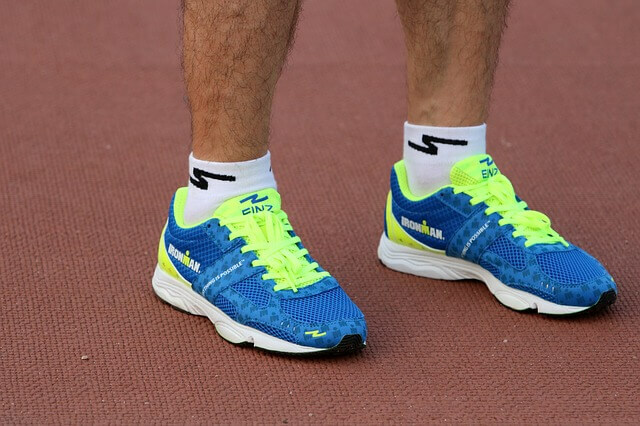 Running with a forefoot striking pattern where there is minimal or zero heel contact can cause high loads through the calf as you ‘hang off the heels’, causing excessive strain if the calf is not strong enough to cope with it. Finally, weakness in the ‘prime mover’ muscles in running, such as the hamstrings, quadriceps and gluteal muscles can increase demands on the calf, leading to overload and injury. How do I know if I’ve overstrained my calf? 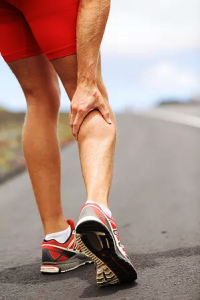 Symptoms can come on suddenly while exercising and can range in severity from a cramping sensation in the back of the calf with minor strains, right up to a sharp impact type pain, often described as ‘like being kicked in the back of the leg’ in the case of a partial or complete tear. You may find it difficult to walk without pain afterwards and may find it difficult or impossible to do a heel raise on the injured side. There may be swelling and bruising to the calf but not always. It sounds like a showstopping injury! What can I do about it? The first thing to do is to reduce loads through the calf muscle complex so it has less work to do. You can do this by wearing trainers with a high heel drop. Try reducing your running so pain is no more than 3/10 during a run or in a 24 hour period after running. Stretch and foam roller the calf provided this does not increase pain too much. If running is still too painful switch to low impact cross training such as swimming while the calf recovers. 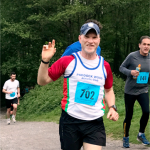 How can a Sports Podiatrist help? Once a calf muscle strain has been diagnosed, a treatment plan is started, initially reducing loads through the calf by taping, heel raises, orthotics and footwear advice. A rehabilitation programme is then put into place focusing on gradually increasing loads through the calf by targeted strength exercises, and cross training to maintain aerobic fitness. Manual therapy treatment sessions are usually required to help restore function to the injured tissues.